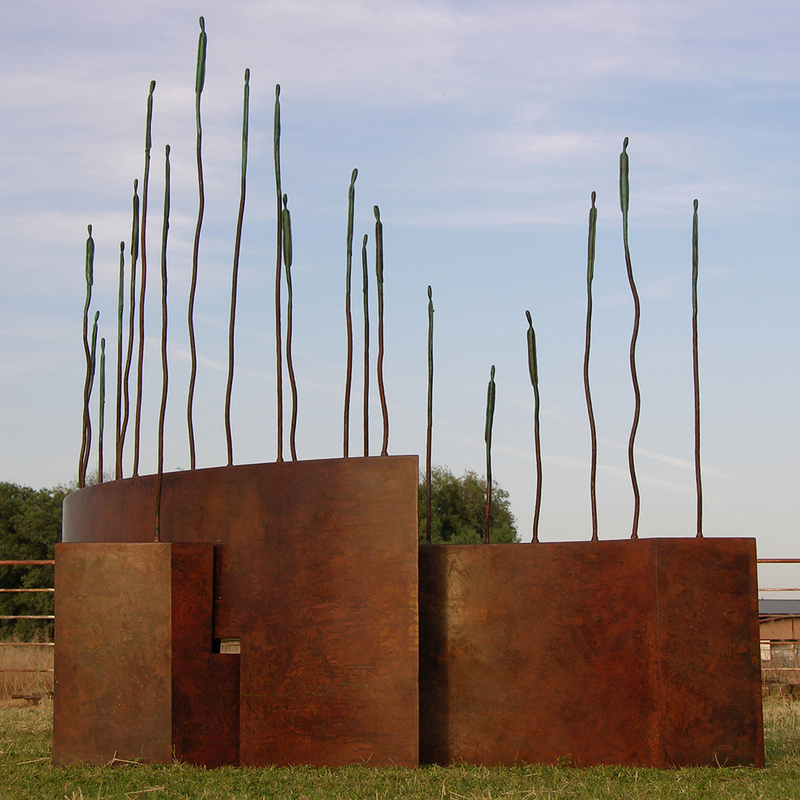 Interlocking Horizons depicts vine-like steel rods growing up from two richly patinated bases. 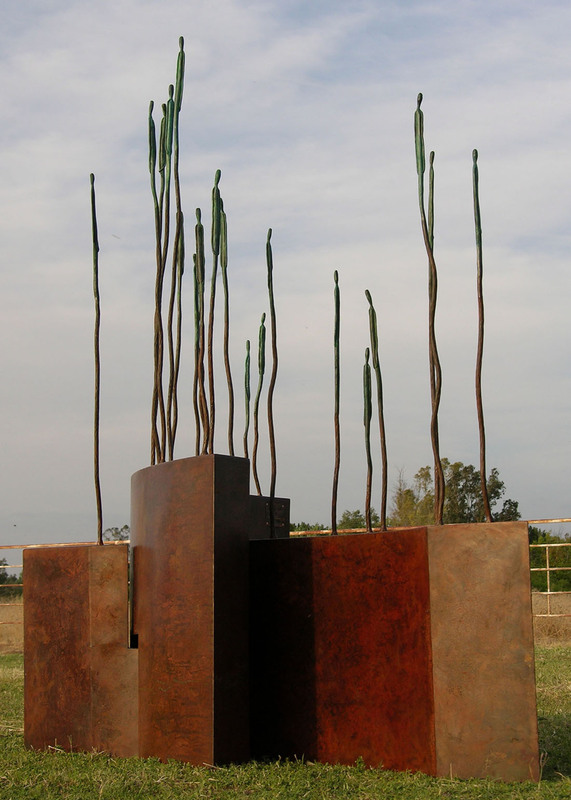 Atop the vines grow bronze figures, suggesting foliage. 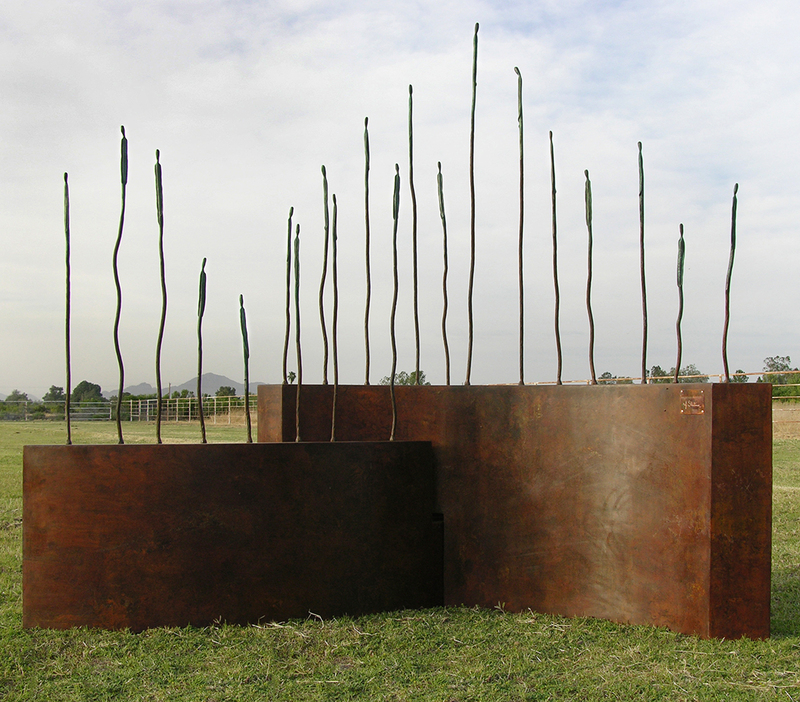 The different lengths of the vines can be interpreted as each individual’s stages of growth on their own “horizons”. The undulation of the figures can also be viewed as the contour of distant landscapes. The intersecting “landscapes” suggest a pairing of two worlds. This idea stems from my migration to Australia from the US and sharing my time between both countries.